Trying to learn macro photography. 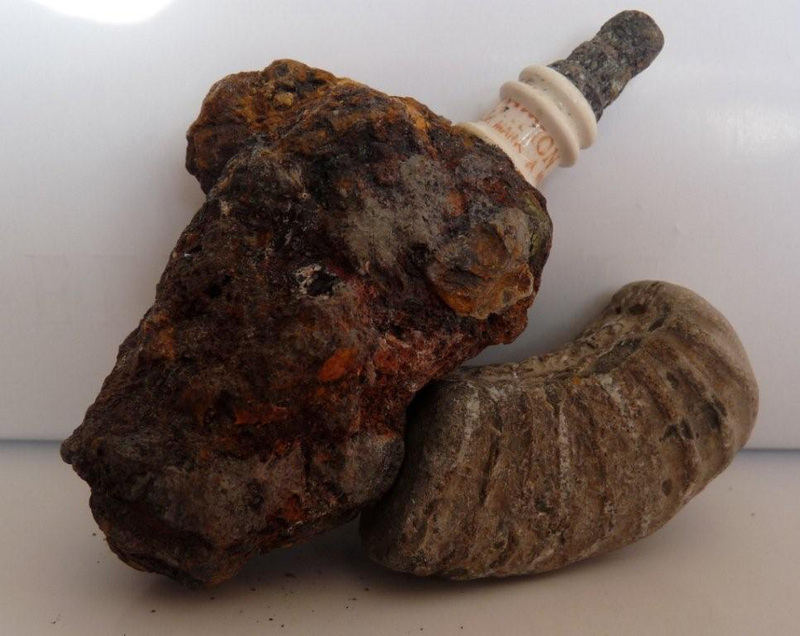 This picture of items found on the beach after last year’s land slip just east of Lyme Regis on the Jurassic Coast. It brought down a 1950′s Council dump as well as a fresh collection of fossils. The ammonite fragment is just like the first one I found here on my first visit fifty years ago. The sparking plug is a fossil in the making which might puzzle future generations when all cars are electric. I tried to contact you via your posted e-mail in the “about me” section but it doesn’t seem to work. I really like the “fossil” spark plug; it is pretty neat. My husband is a rock hound and would love to have something like this. Would you be interested in selling it to me, perhaps I could give it to him as a Christmas gift.